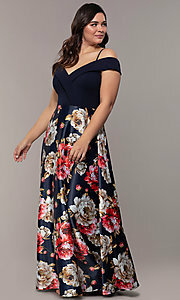 Here's a plus-size long formal dress that combines the sultry style of an off-the-shoulder bodice with the beauty of a floral-print satin skirt. 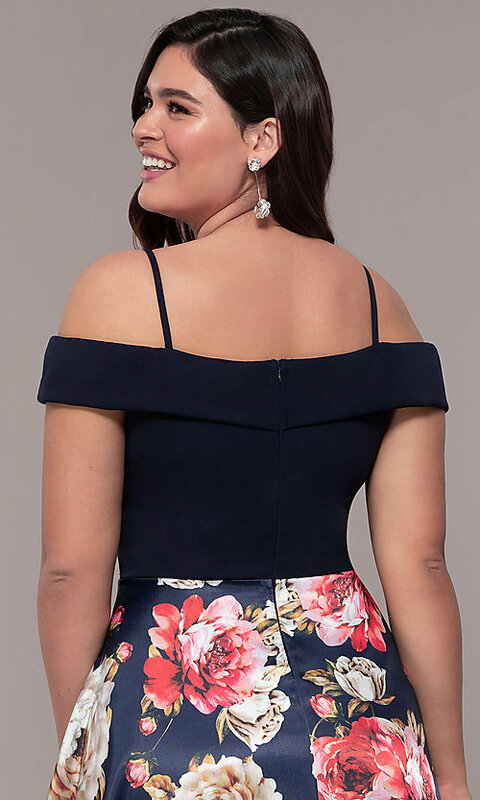 In navy blue, the surplice v-neckline features a fold-over collar that wraps around the arms for a romantic look. 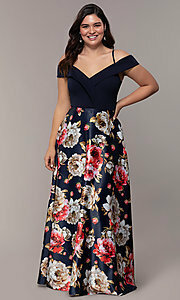 Thin shoulder straps provide support and a cold-shoulder style. 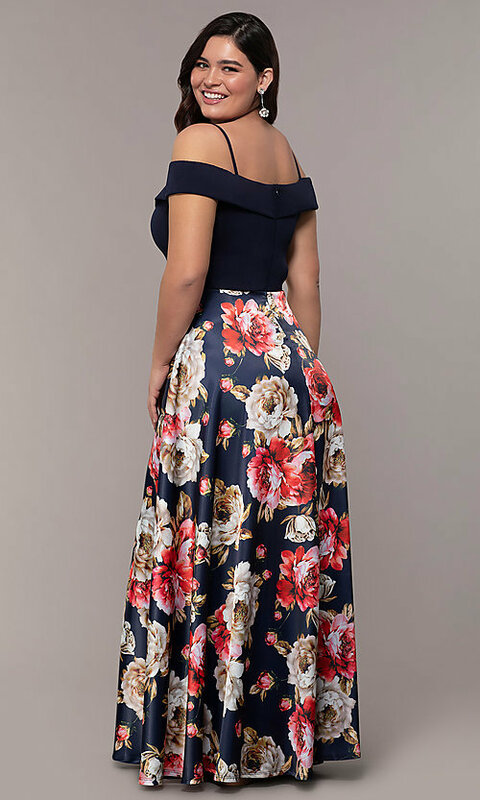 A multicolored floral print looks lovely against the navy blue satin canvas of the long a-line skirt that flatters the figure as it flows to a dramatic floor length. Affordably priced under $150, this plus-sized long formal dress by Simply is so pretty for fancy wedding receptions, fundraising galas, and prom 2019.